Turkey is not one of the first countries that you first consider when you think about figure skating, but Turkish figure skaters compete in ISU internationals including Europeans and Worlds. Turkey is not one of the first countries that you first consider when you think about figure skating, but Turkish figure skaters compete in ISU internationals including Europeans and Worlds. Tugba Karademir, 17, is the current ladies champion. She finished 27th at her first European Championships last season. That was a good result considering that she had only been back on the ice jumping for a week beforehand, with limitations such as not being allowed to even attempt a double flip or lutz, after suffering a string of bad luck throughout the season. 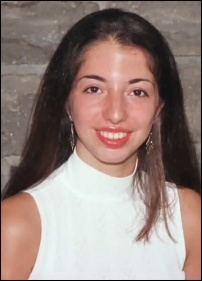 She began training with Robert Tebby at the Mariposa School of Skating, making the Canadian Junior National team in the 2000-2001 season before deciding to return to representing Turkey. Based on her results, Tugba was scheduled for two Junior Grand Prix events, Golden Spin, Europeans and Worlds, with a chance of making the Olympics if she performed well in Zagreb. But starting on September 11 everything went wrong. Having just gotten her triple flip and triple triple lutz, Karademir was all ready to start the season at JGP Phoenix, but the event was cancelled. Preparing for her second JGP in Poland, Tugba and her coach decided to have one last practice on the way to the airport but she twisted her ankle near the end of practice. Having been told by a doctor that it was just a sprain, she flew to Poland but was in too much pain to compete. On her return, x-rays showed that her ankle was broken. That kept her off the ice until January. Tugba now trains for about 10 hours per week on ice and 5 off ice. Working with Tebby, she landed her first triple salchow when she was 14, even before she landed a double Axel. It’s still her favorite jump. This season, she plans to use the triple salchow/triple loop combination in both the short and the long plus a triple toe/double toe in the long. As for goals, Tugba said, “I want to become a world champion and go to the Olympics and medal. I love doing shows. Presentation and the crowds are probably my favorite part of skating.” She also plans to continue as a coach and choreographer for other skaters. “I want to go to university during my skating career and finish that,” she added. “I really think academics are important.” She speaks both English and Turkish fluently.